Here's how to make soap crayons for bath-time fun and easy quick clean-up! I am wondering if we could use cookie cutters or somehow get them into better shapes than just the ice cube tray, but I haven't tried it myself yet. 🖍️ Mix water and soap flakes together. 🖍️ Put mixture into an bottle stick ice cube tray. 🖍️ Break or cut into pieces. 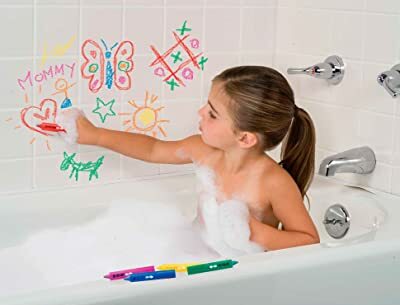 🖍️ Fun to write with on the tub when bathing as well as your face and hands!